In speaking with fellow rideshare drivers, we often hear success stories being shared. Most of the stories are about other drivers making a great deal of money in a short time. But it seemed no one has ever shared how it was done. Whether driving with Uber and Lyft is your main source of income or a side-job to supplement your regular paycheck, it is important to maximize your opportunities and make as much as possible. Today we’d like to share five ways to earn more driving with Uber and Lyft. New Uber and Lyft drivers are able to get great bonus when they sign up to drive. Generally speaking, the bonus is larger when you sign up using an existing driver’s referral code than signing up directly on Uber or Lyft’s website without a code. (If you like, you can use our codes.) To receive the bonus, you need to sign up using the code and complete required trips. Uber and Lyft’s bonuses range from $10 to $1000 depending on locations. At this time, the current bonus for New Jersey is $500 after 50 trips; for San Francisco, it is $700 after 100 trips. Completing the trip requirement is a major part in qualifying for the bonus. You will be asked to complete a number of rides within a specified time frame (usually 30 days). For full time drivers who spend about 30 to 40 hours a week driving, the trip requirements can be easily fulfilled. For part-time drivers, low trip requirement (30 – 50 trips) is rather easy to complete, while higher trip requirement (70 – 100 rides) may be more challenging for some. But it is completely doable. The key is to have a plan and stick to it. First, start driving immediately after your sign-up is complete because the 30-day clock starts ticking as soon as you receive the driving authorization from Uber or Lyft. If the requirement is to complete 100 rides in 30 days, you will need to make at least 25 rides per week if you plan to split the requirement equally over 4 weeks (30 days). Depending on your schedule, you can make 3 rides/day during the week. After 5 days, you will have 15 rides completed. Then on the weekend, you simply add another 10 rides to complete your weekly goal. 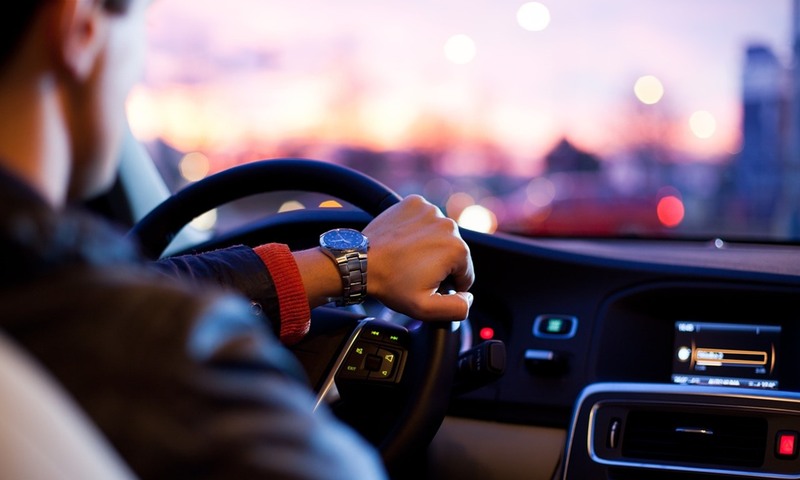 If your availability to drive varies week to week, we suggest you start early and complete the majority of rides (60-80) during the first two weeks. This arrangement will give you more freedom in the third and fourth week. In case you run into unexpected scheduling issues that render you unavailable to drive, you have plenty time to re-align your goal and finish all rides within a timely manner. Remember: Don’t be a procrastinator. Start early! The last thing you want is to realize you’re running out of time to complete the required trips at the end of the 30-day period. Both Uber and Lyft often provide incentives to entice drivers to drive with them. If incentives are offered in your area, it is absolutely crucial to claim them. Let’s take two incentives in Silicon Valley as examples. The hourly guarantees allow drivers to make up to a certain amount in gross fare during peak hours. Currently Uber is guaranteeing gross fares up to $40 per hour in Silicon Valley. If the driver’s fares during the qualifying times are less than the amounts below, Uber will make up the difference on next pay statement. This is a no brainer! Pay attention to emails and text messages from Uber and Lyft for offers like this. Don’t miss it! Okay, after reading the bold print, “make $35 or $40 an hour in gross fare,” now it is time to look at the requirements and the fine prints. To receive for the guarantee, you must complete a list of requirements. Remember — you will be disqualified if you didn’t meet all the requirements specified in a particular offer. Therefore it is essential to read and fully understand the terms and conditions. Below are the conditions of the Silicon Valley hourly guarantee offer mentioned above (provided for illustration purpose only). Terms and conditions for other offers vary. Please refer to your current offer email for details. Power driver bonuses are designed to attract drivers to driver with a specific company predominately. Drivers receive a bonus after completing certain number of rides. The more rides completed, the higher the bonus. 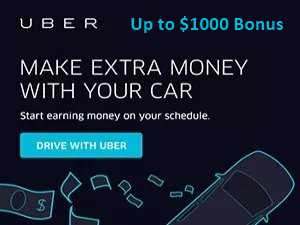 For example, the current Uber Power Driver Plus program in the San Francisco bay area rewards drivers $50 after 30 rides, $100 after 50 rides, $225 after 80 rides, $350 after 100 rides, and $500 after 100 rides. This is a great option for driver who spend most time driving with Uber. Lyft has similar bonus programs. However, Lyft requires drivers to have a car that is a 2011 model or newer to be eligible for their power driver bonus. Surge pricing applies when demand for rides suddenly increases, and riders are charged multiples of regular fares. While riders hate surge pricing, it is a great opportunity for drivers to make more money. Surges are usually observed after a major event, such as a concert or football game. If you’re able to drive an hour or two after an event, you will likely to catch the surge pricing and make extra money. One word of advice — know the roads around the event venue. Since authorities typically close roads and redirect traffic after major events, it may become tricky or difficult to get around. In order to avoid riders cancelling the ride (because it takes you too long to get to them), it is important to be very familiar with the area so that you can easily navigate the heavy event traffic. Driving during peak hours will likely to increase your income. Friday and Saturday nights and in to early morning are generally the busy hours for Uber and Lyft. This is the time when people are out dining or enjoying a night out, and they likely to drink alcohol. Uber and Lyft have become a popular option because they do not have to worried about driving after drinking. If you are a night owl, these hours will be an excellent choice. Accepting tips is now permitted by both Uber and Lyft. While Lyft has an option for riders to add a tip within the app, Uber does not. 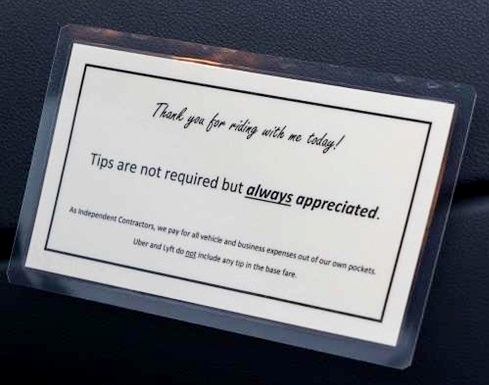 Most rideshare riders are used not tipping. Therefore, it is all up to the drivers to solicit. To do that, you may consider posting a sign with wording like, “Tips are not included in the fare. They’re not required, but always greatly appreciated.” It is important to keep in mind that tipping is at rider’s discretion. Never make them feel uncomfortable about tipping as it can lead to the rider giving you a low rating. Once you have become a driver with Uber or Lyft, you can start referring your friend and family members to drive or ride, and you will earn referral bonuses. This is very easy to do — simply log on to your driver’s app, go to the Invite section from your dashboard to find your referral code, then ask your friends to enter the code during their sign-up process. You will receive a bonus after they complete the requirements.